Mallorca - one of my favourite places when I plan my summer vacation. Also an island with many different faces. Mallorca is just so much more than most people expect it to be. The most people only think about the party at "Ballermann" and the many drunk people there and totally forget how much this island offers and that the nature there is so amazing. 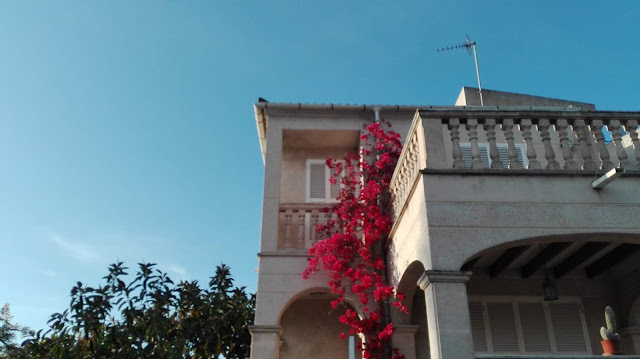 Last year I was at Mallorca due to a cooperation and have already been there before once, but also in my childhood, and I really, really love to be there, so this year I decided to travel there for a short summer vacation with my family. 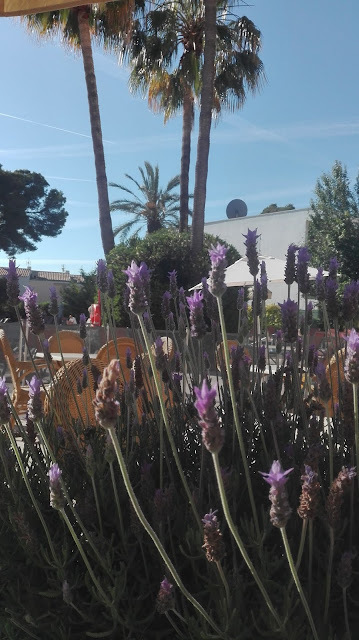 We thought a long time about where we should stay at the island, because there are just so many beautiful beaches and towns, but in the end we decided to stay at the same town as last year, which is also the town where I spent my first holidays in my childhood- Port de Alcudia. 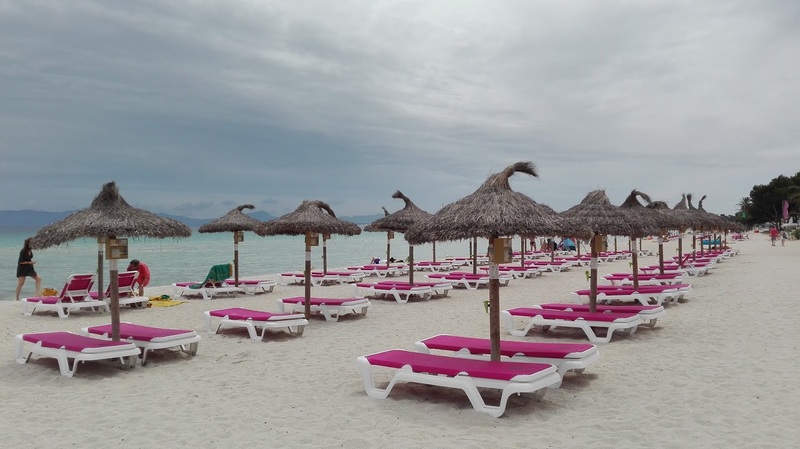 Alcudia is located in the north-east of Mallorca and is the perfect place for a beach vacation for me, because of the super big and clean sand beach, the great port area, where you can stroll around, many good restaurants, an amazing old-town which is very close to the beach and much more. I am sure that everyone can find a hotel which suits perfectly for their needs there, because there are many different hotels, but not as many as in other places at Mallorca. Port de Alcudia is a good mixture out of hotels and out of normal houses where local people live, that´s something that I absolutely enjoy there. Maybe the best thing at Port de Alcudia is the beach. 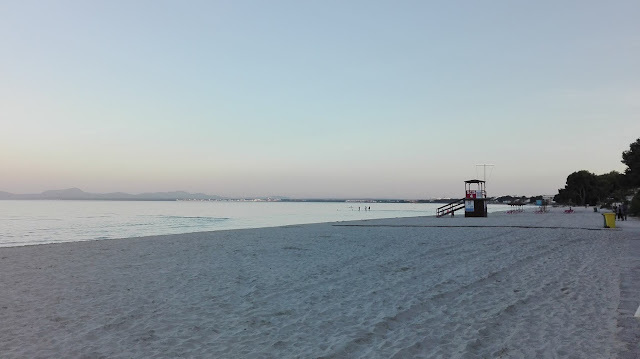 Together with Playa de Muro, Port de Alcudia has the longest beach at the island. So even when many people are at the beach, you will always find a quiet spot to relax. Also the water is really shallow at the beginning of the beach, so you can go a long way in the water until the water height goes up. Therefore it is also perfect for families with kids or elderly people, because the water isn´t that deep at the front of the beach. We decided to stay at a nice family hotel and really liked it there, because it was only a 2 minutes walk to the beach, the food was amazing (so I definitly ate way too much :D ) and the pool area was super nice. Every tuesday and sunday there is a super nice market at the old town, which we visited. There you can buy leather goods, fresh fruits, regional products ands more. After visiting the market, we walked through the tiny, but super pretty streets to explore more of the town center. I already fell in love with the old town last year and couldn´t wait to be there this year and although it was raining it was so great to be there again. During our trip we decided to explore more of this amazing island, so we rent a car and drove around. 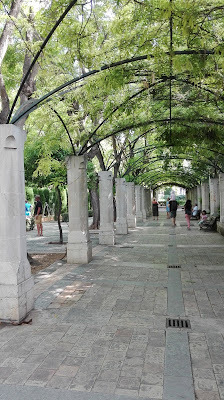 We drove to Palma de Mallorca, Deia and also Puerto de Alcudia. Sadly I have never been to Palma de Mallorca before, but I heard so many good things about it, so this year it was a must-see for me. 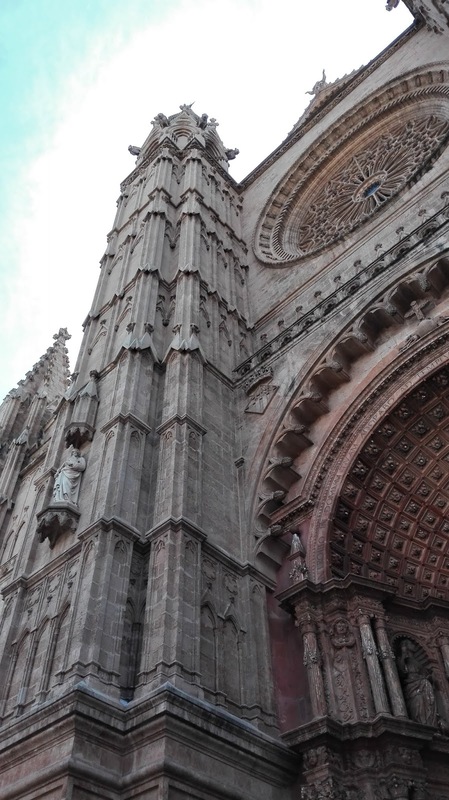 The cathedral was so stunning - I already saw it several times before on pictures, but to be there was great, because the cathedral is really pretty. We also visited it from the inside and I was flashed about the architecture and the atmosphere inside there. Afterwards we went for a walk in the town center, which offers great stores and the streets and buildings are so picturesque. Fun Fact: Whenever I am in a different city, I visit the Disney Store if there is one. I like disney movies a lot and therefore I love to visit their stores, especially because there is no store in Vienna. Deia is a small coastal village, right next to Valdemossa and Soller. 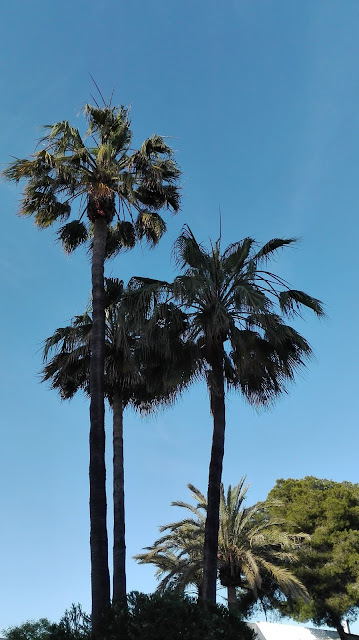 We drove from Palma de Mallorca to Deia through the Serra di Tramuntana, where the street is very curvy, so I was afraid at first that I will might feel bad afterwards, because this normally happens on curvy streets. Luckily the car ride was okay, but I was happy when we arrived and I could get out of the car. In Deia we wanted to visit the graveyard, because we got the information that the graveyard should offer a unique view to the sea. It was super hard to find a parking space in Deia, so we decided to drive a little further. Although we looked out for the graveyard all the time, we couldn´t find it, as there was no sign showing the direction or something similar. Driving through this town was nice, but the parking situation is really not easy, so I am not sure if I would visit this town again. First of all: parking was so much easier in Port de Soller than in Deia.... We parked in a car park and only had a five minutes walk to the beach - so it was perfectly located for our needs. Port de Soller is a coastal town, which belongs to the town Soller. The beach area is really big and there are many great restaurants located around the beach (important to mention: the restaurants are partly super expensive!). We went for a long walk across the whole beach and saw many nice houses and areas of the beach, where we would have loved to enjoy good weather. 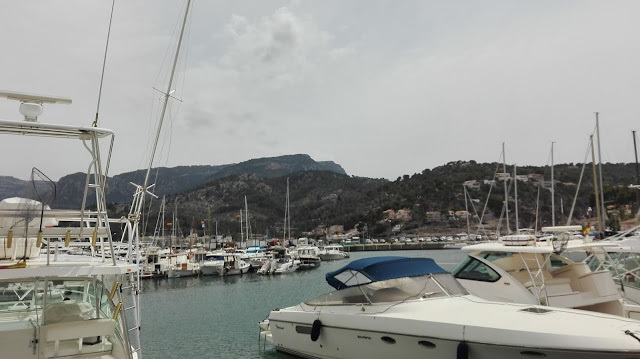 But we visited Port de Soller in the afternoon and the weather wasn´t that good, the sky was completely grey and it was a little bit cold, so we couldn´t sit directly at the beach. So the best solutions was to sit at a restaurant close to the beach to have the beach atmosphere. 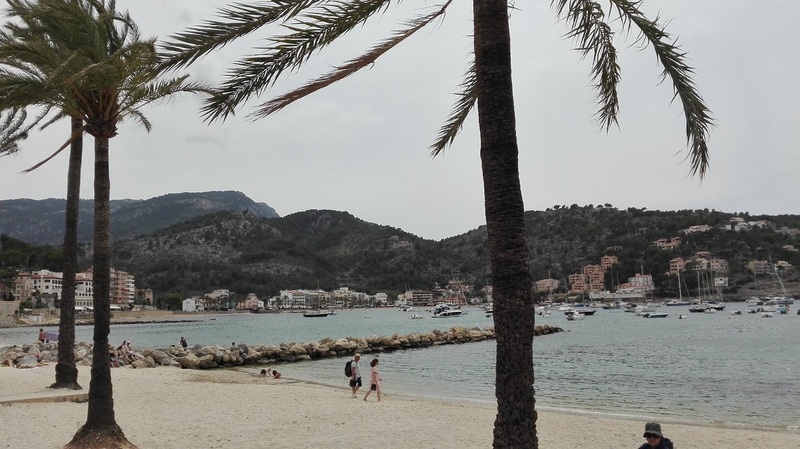 Would have wished that the sun would have been out, then our visit to Port de Soller would have even been better. I will for sure visit this beach town again in the future. 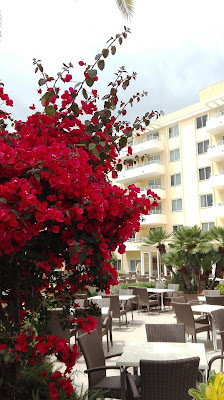 Have you ever been to Mallorca? If yes, what´s your favourite place there?